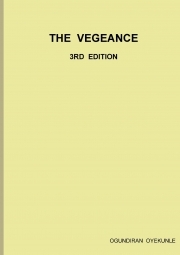 Description of "THE VENGEANCE "
3rd Edition,Patrick’s father couldn’t absolutely express his joy of still having the privilege (as he was about reaching the grave) of seeing his son checking into matrimony. It was a massive mirth that had overwhelmed his soul. Had it been it wouldn’t sound as an evil expression, it would have been long that the old man would have said he had erred greatly in coercing his only son to become a Christian. i am a christian, simple,open minded,sharing of culture and languages alot more. Reviews of "THE VENGEANCE "